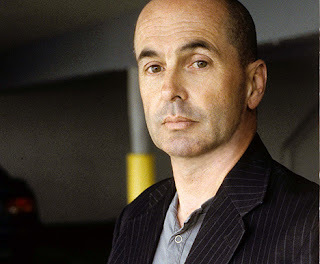 Book Passage is thrilled to announce Don Winslow will be the keynote speaker at the 2012 Mystery Writers Conference, set to take place July 19-22 at Book Passage in Corte Madera, California. Winslow, the widely acclaimed, bestselling crime fiction writer, will deliver the Conference’s keynote address on Friday, July 20th at 7:30 pm. This special event will be open to both Conference attendees and the public. Winslow is the author of the forthcoming The Kings of Cool: A Prequel to Savages, due out from Simon & Schuster in June. Winslow’s new novel is being published to coincide with the release of the film adaption of Savages, directed by Academy Award-winning filmmaker Oliver Stone. Set to hit theaters in July, Stone’s widely anticipated film stars John Travolta, Blake Lively, Benecio Del Toro, Uma Thurman, Emile Hirsch, Taylor Kitsch, Aaron Johnson, and Salma Hayek. In Savages, Winslow introduced Ben and Chon, twenty-something best friends who risk everything to save O, the girl they both love. Among the most celebrated literary thrillers in recent memory, Savages was selected as a "Top 10 Book of 2010" by Janet Maslin in The New York Times and Stephen King in Entertainment Weekly, as well as other publications around the world. Now, in his high-octane prequel, Winslow reaches back in time to tell the story of how Ben, Chon, and O became the people they are. A series of breakneck twists and turns puts two generations on a collision course, culminating in a stunning showdown that will ultimately force them to choose between their real families and their love for each other. Don Winslow is the New York Times bestselling author of more than a dozen novels, including The Gentlemen’s Hour, Satori, Savages, The Dawn Patrol, The Winter of Frankie Machine, The Power of the Dog, California Fire and Life, and The Death and Life of Bobby Z. He lives in Southern California. The Book Passage Mystery Writers Conference is the leading crime fiction writer’s conference in the United States. Now in its 19th year, this is the place where both published and aspiring crime fiction writers of all stripes gather to talk shop. It is also the place where careers are begun. Just ask its many published alumni. Book Passage has served the Bay Area for more than 30 years, providing the community with an array of author events, writing and language classes, and its highly-respected, annual conferences. The store is nationally renowned for its large inventory, knowledgeable staff, and community involvement. Book Passage has two stores, one in Corte Madera and a second in the San Francisco Ferry Building, as well as an active website, www.bookpassage.com. For more information, contact Karen West, Book Passage Director of Events & Conferences, at 415.927.0960 x238, kwest@bookpassage.com. Visit the conference online at www.bookpassage.com/mystery-writers-conference.